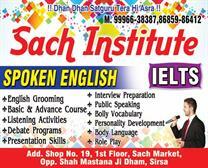 SPECIAL COACHING FOR:UGC NET,Banking Clerical & PO, SSC, HSSC, ARMY, HARYANA POLICE, INSURANCE, HTET, CTET, RAILWAY. Special Batches for 9th To 12th Classes. Contact Us at 8685986412, 9996638387.